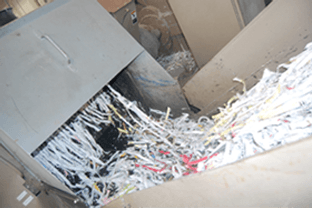 ConfiData has been a trusted choice for affordable document destruction and shredding services in the Albany, Utica, and Syracuse areas since 1989. Free site visits are available to businesses in our service area. Each business is different and we will help determine your specific needs to maximize efficiency and confidentiality when it comes time to destroy confidential documents. To sign up for a free consult, fill out the contact form below. This shredding service is great for when you are moving or just need to do a good declutter of your documents. ConfiData offers document destruction contracts on a monthly or weekly pick up. If neither of those options works for your business needs, no worries we will work with you to come up with a suitable solution! Watch your documents get securely destroyed right before your eyes! Our mobile shred trucks shred paper right on-site so you can be assured that your confidential documents are disposed of properly. Mobile shredding may be done one time or on a regular pick up schedule. You can also opt to bring your material to us to securely shred off-site at our headquarters on Genesee Street and Lee Street in North Utica (behind Babe’s). Appointments are appreciated. Please call 1-800-62-SHRED to make your off-site shredding appointment. Yes, we can come to your home! Many people have years of financial documents, tax returns, medical records, bank statements and more that need to be shred safely. We can help with our affordable residential shredding service! Let us help you keep your business compliant & protect your client information with our secure commercial shredding services! A variety of secure containers are available for you to use onsite to keep your documents private and locked until they are ready to be shred. We offer a variety of sizes to fit every space. Call today to schedule your free site visit!